I have warm childhood memories of little handknit yummies bestowed upon me by my, now 93 year old, grandmother. She used to knit us scarves and blankets and maybe some gloves but my alltime favorite was a white hat with blue – somewhere between royal and baby…maybe something in the neighborhood of UNC blue – anyway, a white hat with blue letters that spelled out my name – A N N E, and topped off with a magical matching pom pom. 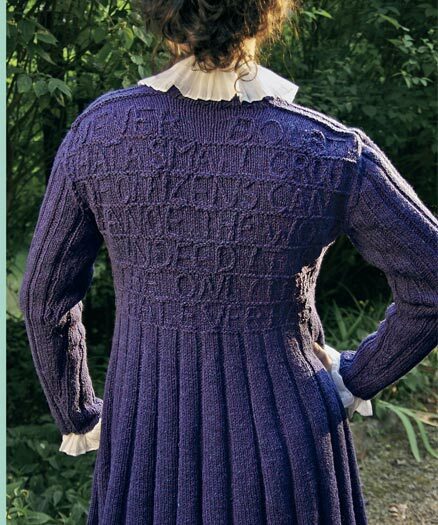 Luckily, for those who stuck with it, the bi-regional (NYC/Nashville) Mason Dixon knitting crew is back with their second book: Mason-Dixon Knitting Outside the Lines. Even if knitting’s not your thing, their story alone is pretty cool: KAY GARDINER and ANN SHAYNE met on an online knitting message board years ago, and their correspondence has grown into a community of more than 150,000 knitters, and 2 published books!